If you're looking for a more powerful .45 ACP defensive load for your pistol and don't mind the extra recoil, +P ammo is the way to go. 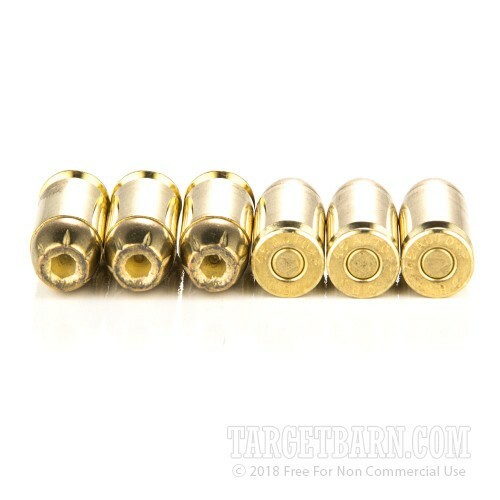 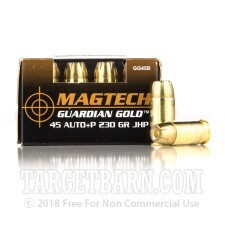 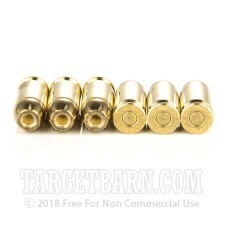 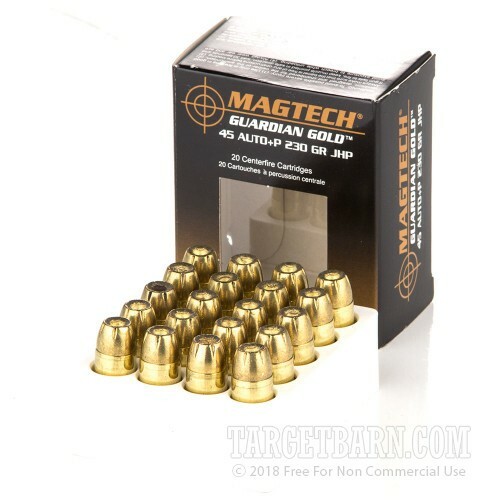 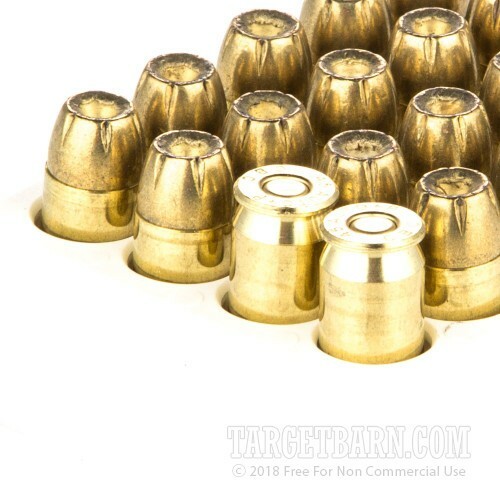 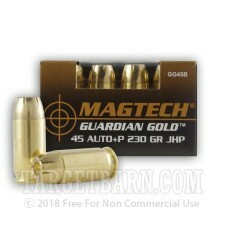 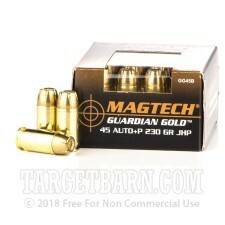 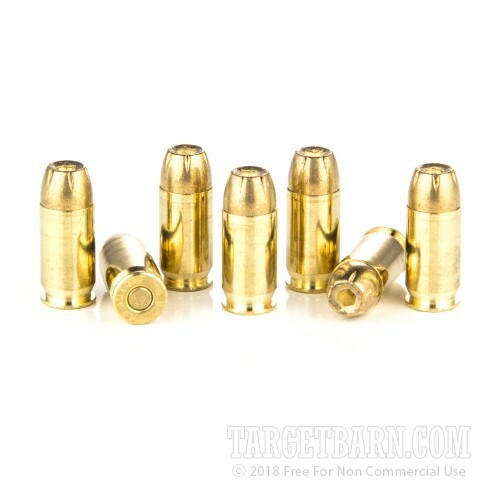 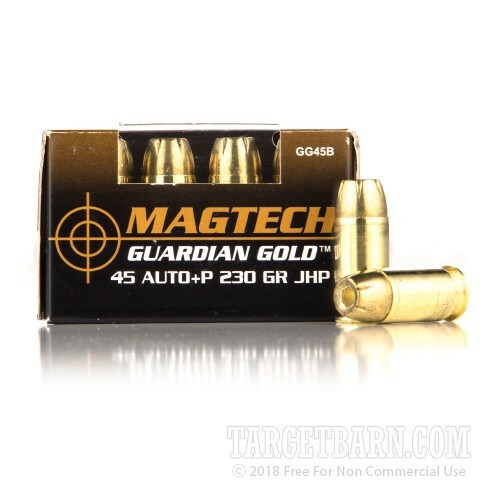 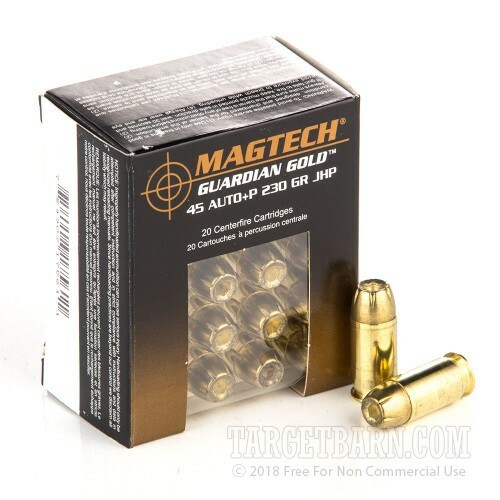 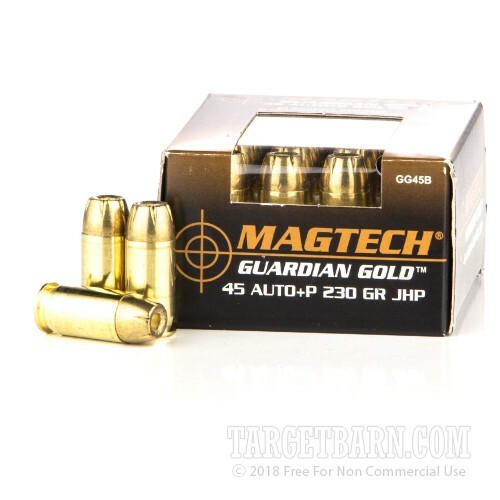 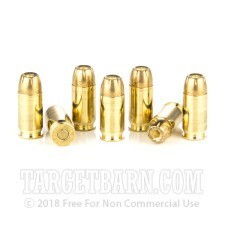 This Guardian Gold ammo from Magtech is a cost-effective (and just plain effective) choice for concealed carry or home defense. 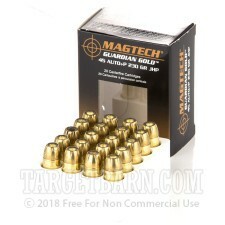 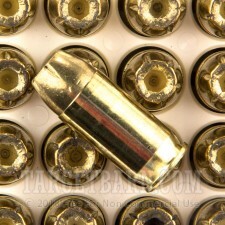 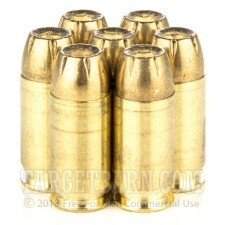 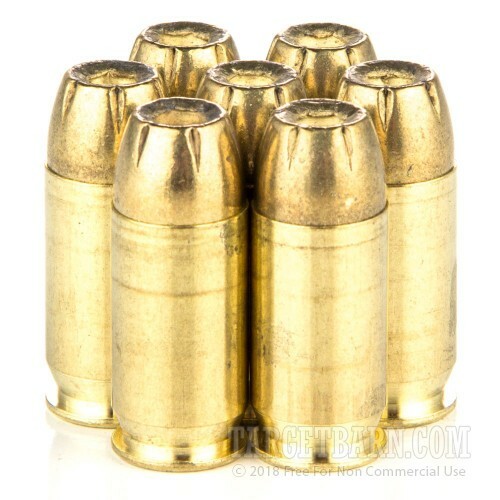 Each round in this box of 20 fires a heavy 230 grain jacketed hollow point bullet at a muzzle velocity of 1,007 feet per second. 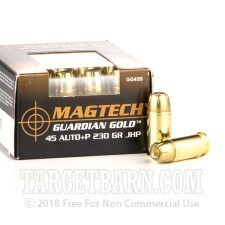 This high velocity promotes more reliable expansion and better terminal performance, with the main trade off being a heftier kick. Magtech ammo is made in Brazil using internally sourced components including non-corrosive primers and brass cases.